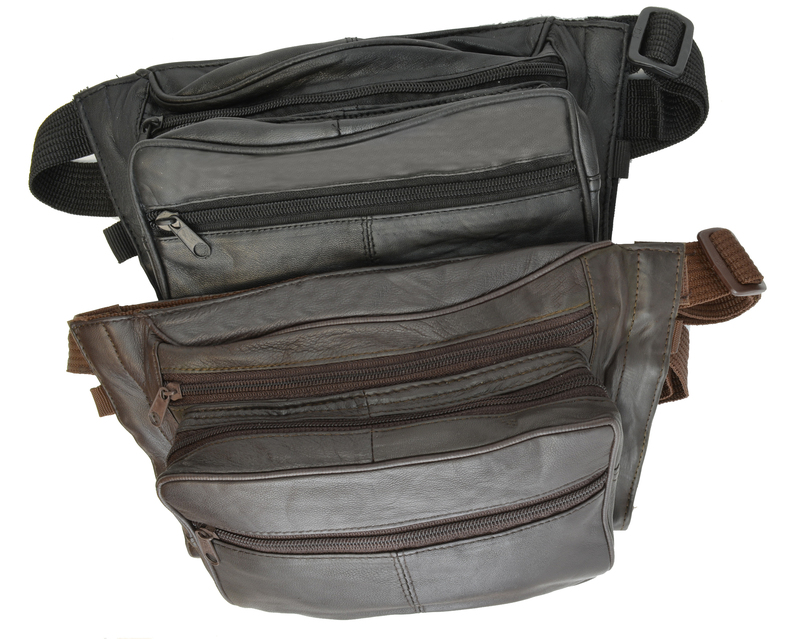 Leather waist bag. Crafted of fine lambskin leather. Features middle pocket. Front flap pocket. All of the pockets have zippered closures. An adjustable strap fits up to size 42". Dimensions; Height:4", Width:12", Depth:3". 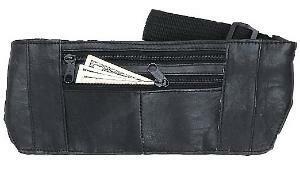 Fits larger waist sizes with strap extension E05. Crafted of fine lambskin leather. Features a big meddle pocket.Can Holder, A front pocket. Two pockets at the back. 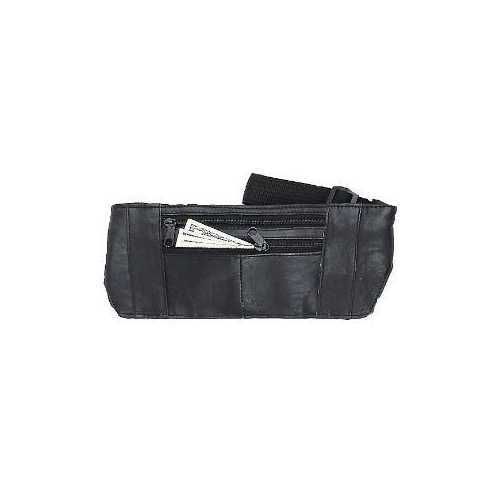 All of pockets have a zippered closure. An adjustable waist strap fits up to size 42". Dimensions; Height:4 1/2", Width:9". 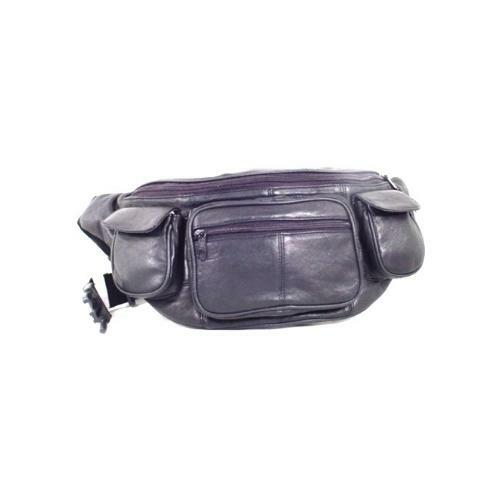 Fits larger waist sizes with strap extension E05. Crafted of fine lambskin leather. 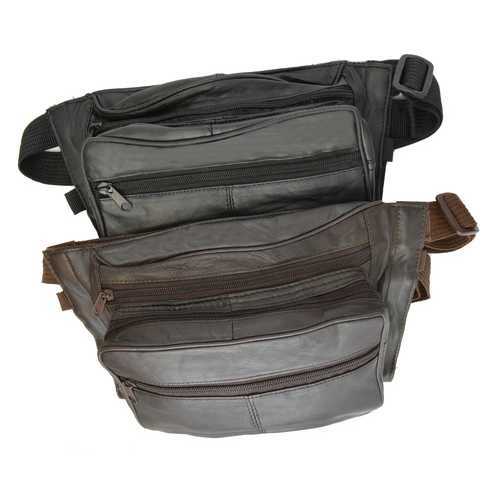 Features a big middle section, Back Zipper Front ZipperTwo Sides Zippers.Approximate Size: 10" x 5.5" x 2"
functional waistpack to keep you organized This stylish and cool waist pack is made of genuine leather. Genuine Leather Three zippered pockets Gun pouch Adjustable waist strap Size: 11 Inches� x 7 Inches lick the BUY NOW button and this leather pouch will be on the way to you!